Really your salad could be a combination of anything – this version could be complemented with a can of white cannellini beans (or garbanzo) or fruit, such as chopped watermelon. However you decide to make it, for me summer is all about fresh ingredients and convenience – both of which can be found inside a mixing bowl in the fridge! 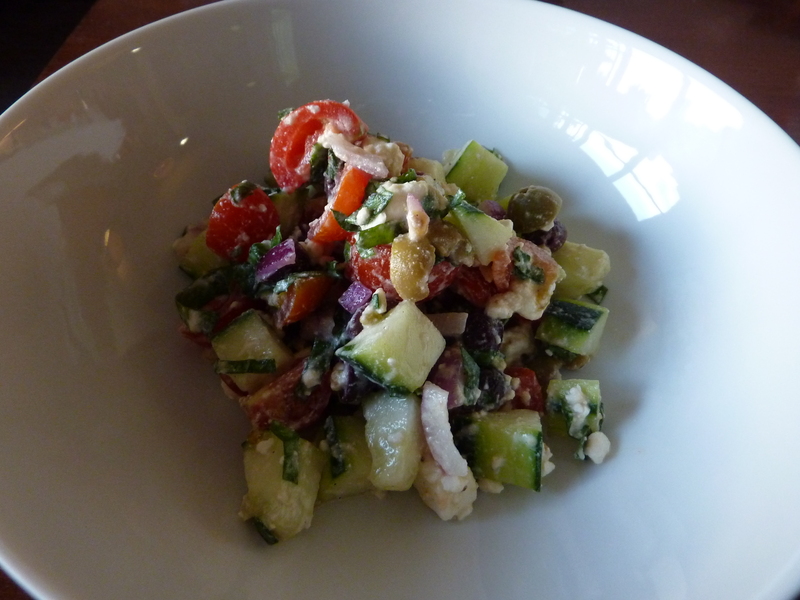 This entry was posted in Culinary Adventures and tagged cucumber, easy, feta, horiatiki salad, olives, recipe, Salad, tomatoes. Bookmark the permalink.